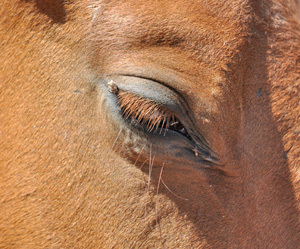 A report of a child being kicked in the face by a feral or stray horse has prompted a warning from the Nevada Department of Agriculture. The department urged citizens to be extremely cautious around all horses that are feral or estray – wandering animals for whom the ownership is unknown. The department said added caution was needed during the transition from summer to fall. “As more children and families are getting up earlier for school buses and sporting events, we are urging the public to be alert,” said Flint Wright, administrator of the Department’s Animal Industry Division. Wright said the department was investigating the reported kick in the face, which occurred in the Damonte Ranch area of south Reno,” Wright continued. The department also urged caution when driving on highways, public roads and in neighborhoods near the Virginia Range area. The range includes the areas east of Carson City, Fernley, Dayton, Lockwood, south Reno, Silver Springs, and Virginia City. In the past two to three days, two horses had been struck by vehicles, and multiple vehicular accidents with feral and estray horses have occurred in recent months. “The Nevada Department of Agriculture remains committed to protecting public safety while caring for estray/feral horses in accordance with Nevada state law,” Wright said. Despite common misconceptions that the Virginia Range animals are wild horses, the federal Bureau of Land Management declared the Virginia Range “wild horse free area” through a land-use planning process in 1986. The herd in the Virginia Range is therefore designated as estray/feral livestock and falls under existing Nevada state laws pertaining to estray/feral livestock. Although the horses do not fall under protection of the Wild Free-Roaming Horses and Burros Act, the Nevada Department of Agriculture and the State of Nevada have taken precautions to ensure the estray/feral horses have been cared for in accordance with Nevada state law.